It is honor to be with believers like Peter. He has been faithfully preaching Jesus in Muslim dominated Obongi for years. He showed me the scars he has from the beatings he has received because of his faithful witness. 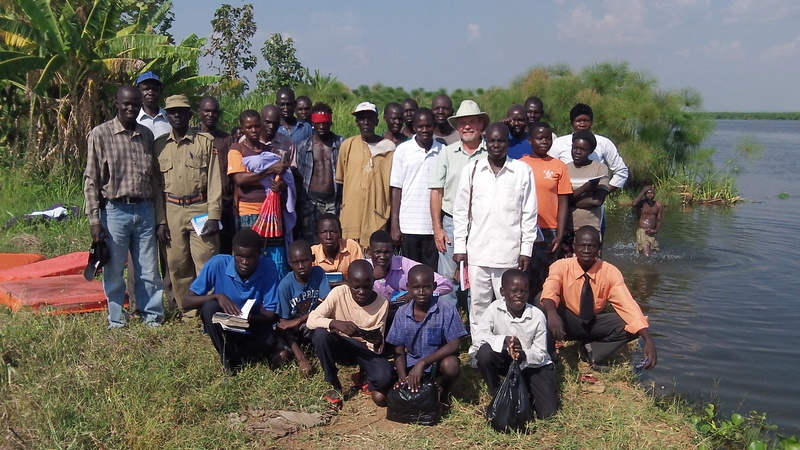 He along with other faithful ones have opened the way for today’s new believers being baptized and the growing church in Obongi! Peter studying the Word with us. We had a wonderful day in Obongi. 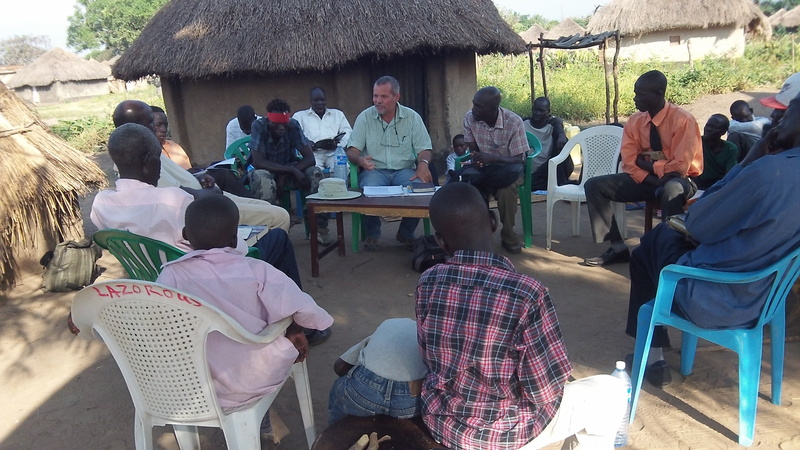 After arriving we had several sessions of teaching on the gospel and baptism. 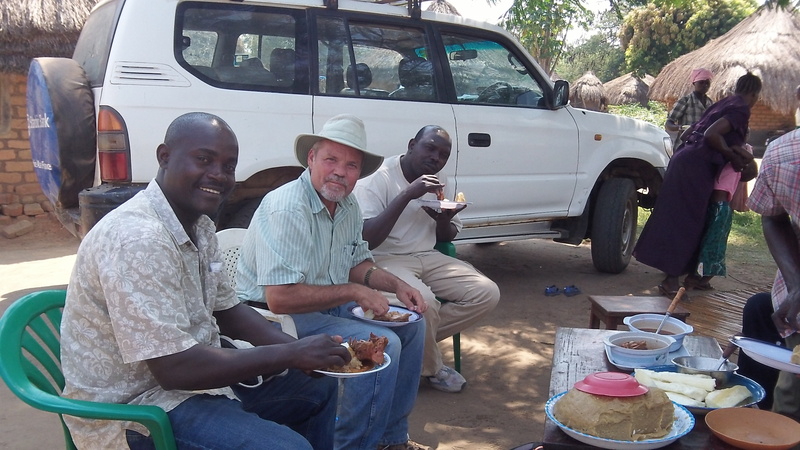 We then had a nice meal of cassava (boiled and roasted), beans, and chicken. 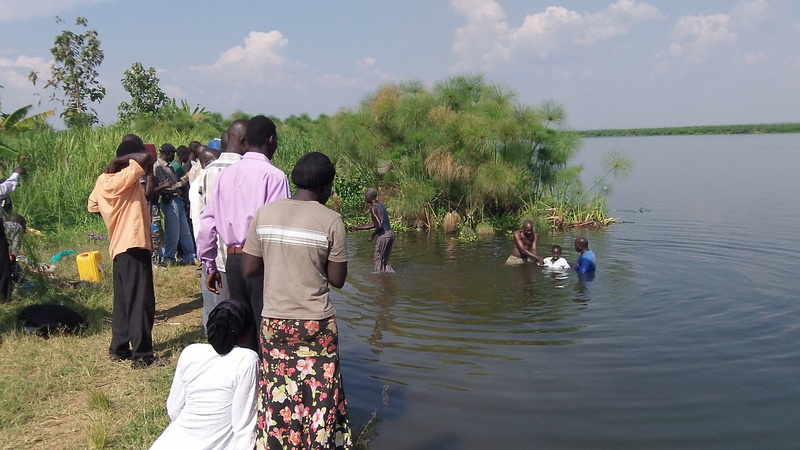 Next 16 new believers were baptized in the River Nile. We then returned to our shade tree for more teaching. 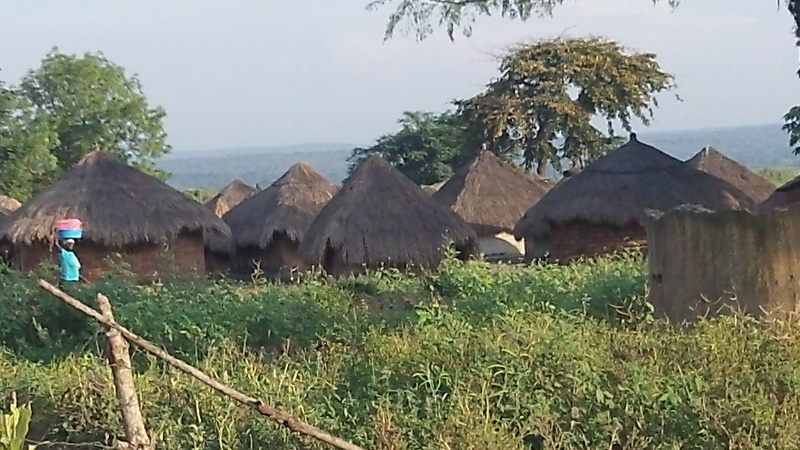 I rejoice in how the Lord is building His church in Obongi! 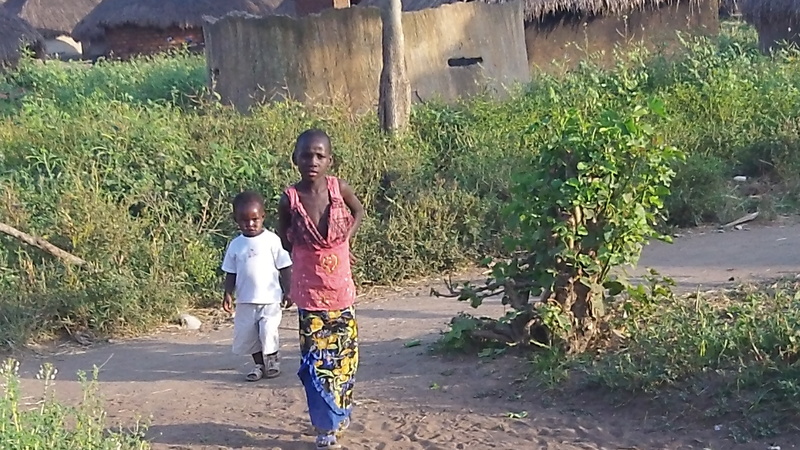 Praise God Reaching Africa’s Unreached gets to be a part of it! Thank you for your prayers and support! 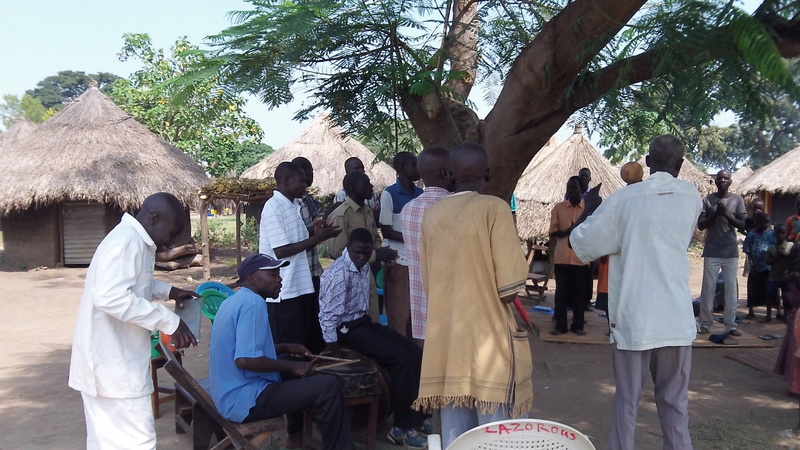 Godfrey (far left) playing a local instrument during the song part of our worship service. 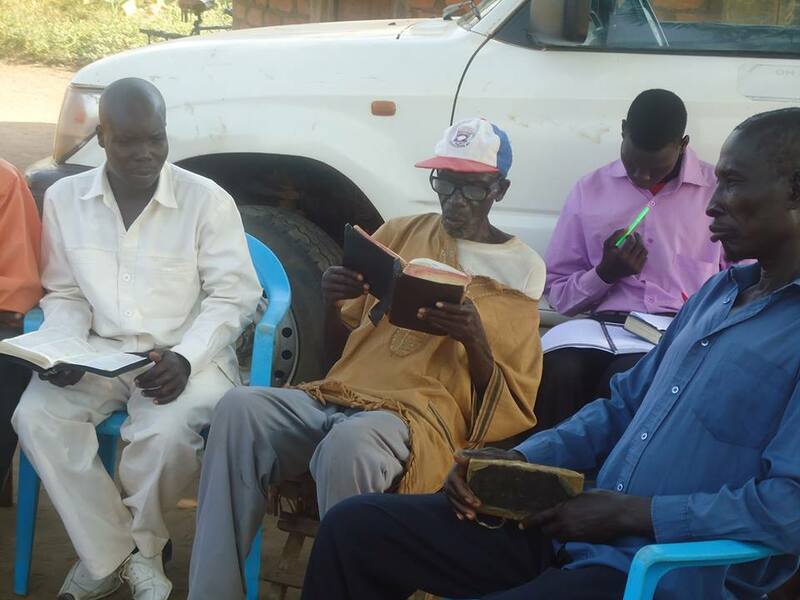 Godfrey, who has been in training at RAU, will be leading RAU’s first church plant. The church meets under this tree and is the only evangelical church in this Muslim town of 20,000+. 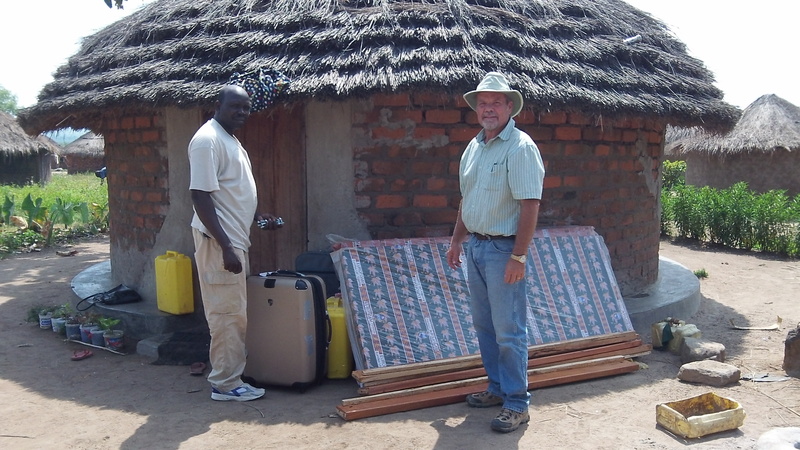 Please pray for Godfrey and Obongi Town Church. Outside Godfrey’s rented tukalu. It is not far from the tree the church meets under. Pray for us and help us make sure that the upcoming generation hears the gospel. Most of their ancestors did not hear the gospel because there was no one in their midst to tell them (Romans 10:12-15)!